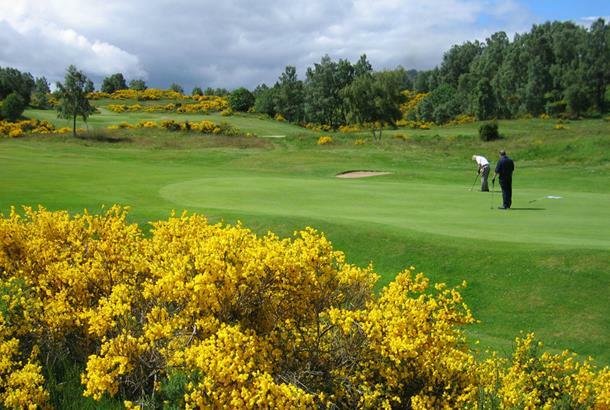 Situated on the edge of town and sandwiched between the river and the steam railway, Boat of Garten can trace its illustrious history back to 1898 when the original six holes were laid out over pure heathland. Two holes were added in 1910 and 20 years on extra land became available and the legendary James Braid submitted his design. Since it was opened in 1932, the 18-hole course has been tweaked a little but the remarkable individuality of the holes is still unmistakeably present in the delightful design that threads through the silver birch, heather and gorse. All the holes are christened, some with names that are almost unpronounceable to everyone other than a native Scot. The signature 6th is said to have been Braid’s favourite. In providing wonderfully lofty tees, several of the holes, but in particular the 6th and 12th, make full use of the available elevation, of which there is plenty. 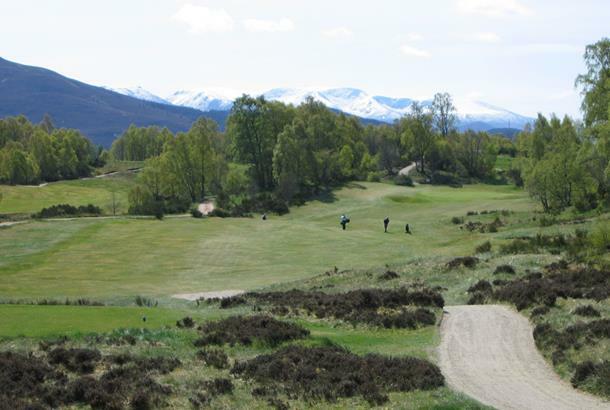 A feature of the course for which Braid can’t take any credit is the spectacular mountain backdrop provided by the Cairngorms. Another natural asset is the abundant wildlife - hares and deer are a particular feature. A James Braid-designed course, Boat of Garten is situated in the Scottish Highland and is unsurprisingly surrounded by beautiful scenery. 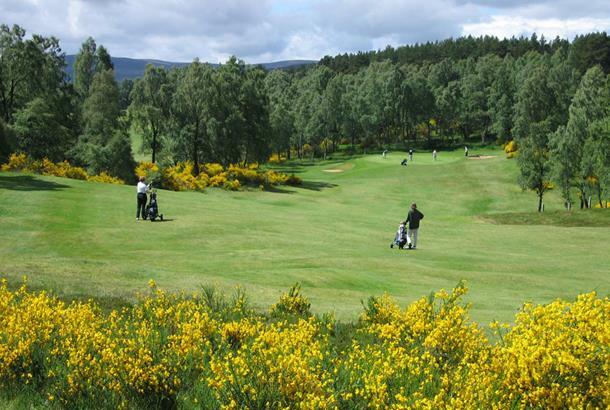 Fairways lined by birch trees, heather and broom make it a scenic, yet difficult test. 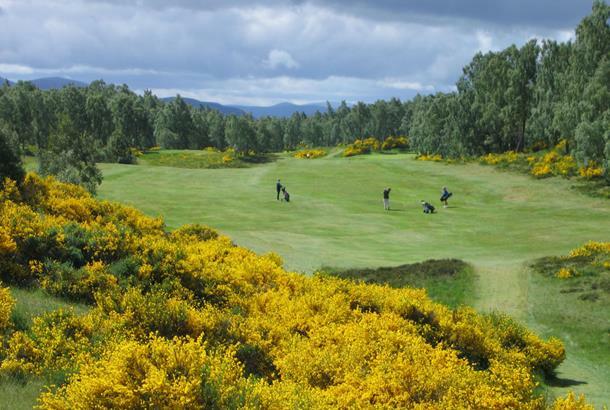 Considered a real hidden gem, this course is a must-visit if you are planning a trip to the Scottish Highlands. Pretty course away from the links and an easy days golfing although if planning 36 holes suggest you don't carry 14 clubs all the way. Shame though that the course wasn't in better condition. Greens had bare patches and inconsistent roll. A bit untidy here and there. Word had it that the winter had been particularily hard on the course and there had been a few issues with green staff. A kind of Manor House at Castle Coombe type of feel about the place. An absolute gem. the setting made the hairs on my neck stand up, and I could have heard bagpipes through the glen. Not a long course, but tight and testing with a few easier holes to give you hope. The welcome in the clubhouse was also first class. I could have spent the whole weekend here without a care. A superb course, which gave you plenty to think about without being intimidating. Greens were excellent and the views stunning. The course was extremely well drained and would certainly get me playing it again and again. A real corker!